The battle of Vinegar Hill in County Wexford, Ireland between the army of the United Irish and the British army took place in the year 1798 On This Day. John Banim was a writer and dramatist who was a native of Kilkenny City, Ireland. With his brother Michael, he collaborated in many published works including ‘Tales of The O Hara Family’. For Michael writing was a part time occupation but John became a fulltime author. A portrait of John Banim hangs in the National Gallery in Dublin. John Banim was educated at the English Academy in Kilkenny and later at Kilkenny College. He showed a talent for art and went to Dublin to study the subject at the Royal Dublin Society Metropolitan College of Art. He returned to Kilkenny where he became a teacher of drawing and art. Banim fell in love with a seventeen year old girl called Anne who was one of his pupils. However the girl’s parents objected and removed the girl from Kilkenny. Her death a few months later had a strong mental and physical effect on Banim. He stopped teaching art and began writing for the Leinster Gazette of which he eventually became editor. John Banim then moved to London where he wrote for magazines and the stage. The Banim brothers began writing the material on which they had agreed and sent each other their completed works for correction and criticism. They published the first series of ‘Tales, by the O’Hara Family’ in April 1825. The publication was a success. He later published other works but his health was deteriorating. In 1829 Banim moved to France on the advice of his doctors. He continued to write but his health did not improve and he got into financial difficulties. A campaign, which was led by The Times newspaper, was conducted to help him financially. The campaign raised enough money in England and Ireland to ensure his financial security. He returned to Ireland and was granted a pension. He lived for the remainder of his life in Windgap near Kilkenny city where died at the age of forty-four on August 30th 1842. John Banim was born in the year 1798 On This Day. And he said “How’s poor old Ireland, and how does she stand? 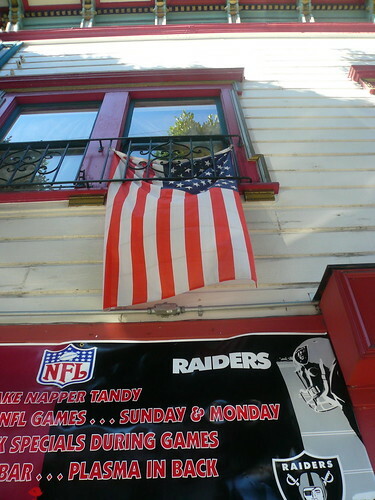 James Napper Tandy was born in Dublin in 1740. He attended school in Ballitore County Kildare and became an ironmonger by trade. He was involved in several popular movements and led opposition to the building of the present Custom House in Dublin. He was elected as a member of Dublin Corporation and helped found a branch of the Society of the United Irishmen in Dublin in 1791. 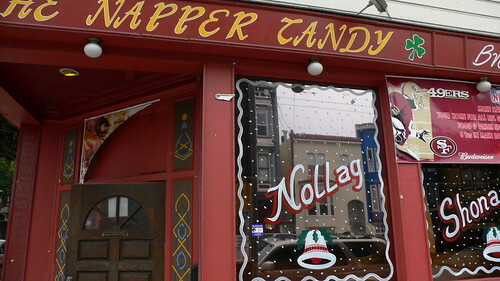 As a result of his activities Napper Tandy was forced to leave Ireland. He lived for a time in Wilmington Delaware and moved to Paris in 1798. He was appointed Brigadier General by the French. He set sail for Ireland on board the Anacreon with soldiers and ammunition to take part in the rising of 1798. He landed on Rutland Island off Donegal in September 1798, where he issued proclamations urging uprising and hoisted an Irish Flag. When he heard of the defeat of Humbert at Ballinamuck, Tandy decided to abandon the venture. On the return voyage to France he was captured at Hamburg and brought back to Ireland. 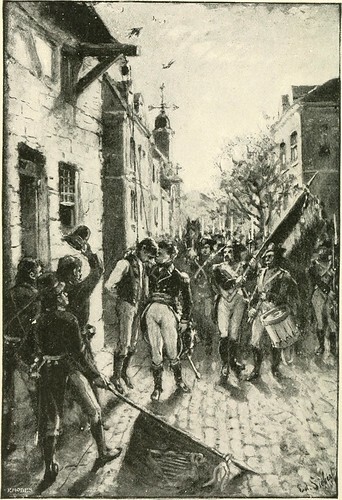 Following his trial at Lifford in County Donegal he was sentenced to death but was surrendered to the French on the demand of Napoleon Bonaparte. He lived in France until his death on August 24th 1803. James Napper Tandy landed on Rutland Island off the Donegal coast in the year 1798 On This Day. 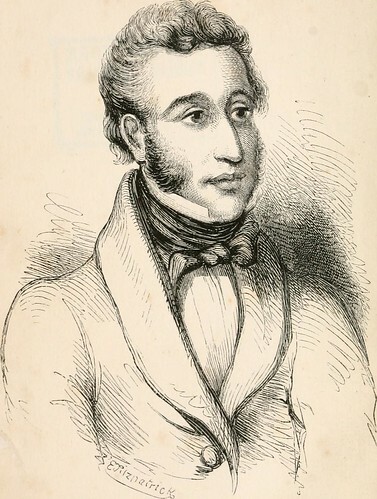 John Moore President of the Republic of Connaught died in the Royal Oak Coachman’s Inn in The Royal Oak village near Bagenalstown County Carlow on December 6th 1799. Moore had been appointed president of the Government of the Province of Connaught by General Humbert. 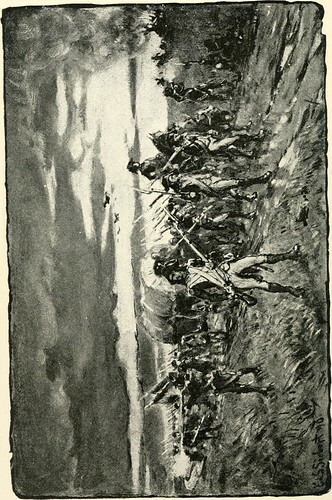 Humbert had been victorious at the Battle of Castlebar in Co Mayo on August 27th 1798. 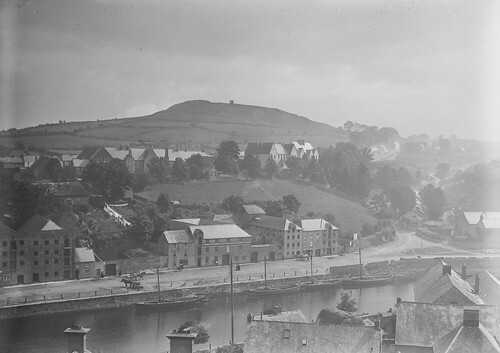 Humbert spent six days in Castlebar during which time insurgents seized other towns in Mayo. He proclaimed the Republic of Connaught and appointed John Moore of Moore Hall as President. Moore Hall is located on the shores of Lough Carra near Ballinrobe, Co Mayo. It was looted and burned down in February 1923 by anti-treaty forces during the civil war. Humbert left Castlebar intending to cross the Shannon and march towards Dublin. However his army was surrounded by a 15,000 strong British force and he surrendered at Ballinanmuck in Co Longford. President Moore was arrested by the British and sentenced to transportation. He was en-route, under guard to New Geneva near Passage East in County Waterford when he became ill. He died in The Royal Oak Inn about 12km south of Carlow town. He was buried in Ballygunner Temple cemetery in Waterford City. In 1961 his body was exhumed and reinterred at a state military funeral at The Mall in Castlebar. On the headstone of his grave is written, ‘Ireland’s first President and a descendant of St Thomas More, who gave his life for his country in the rising of 1798’. General Humbert, having landed at Kilcummin in Killala Bay, began his campaign in Co. Mayo in the year 1798 On This Day. Tintern Abbey was founded by William Marshal, Earl of Pembroke in 1203. It is located on the Hook Peninsula in Co Wexford, Ireland. The Abbey was run by Cistercian monks who came from their abbey at Tintern in Monmouthshire, Wales. Tintern Abbey in Wales and in Wexford were dissolved during the reign of Henry VIII. The poem Tintern Abbey by William Wordsworth refers to Tintern Abbey in Wales. 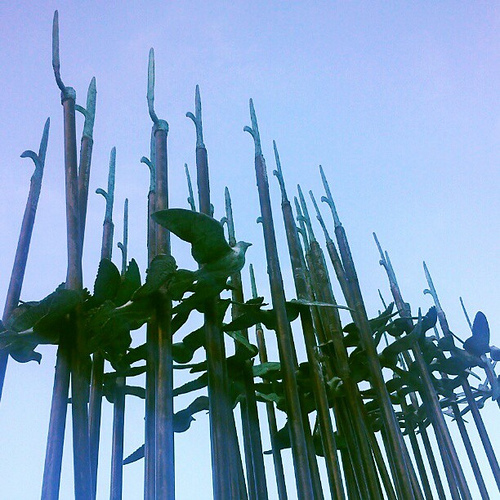 The actual title of the poem is: Lines Composed a Few Miles above Tintern Abbey. It was written by Wordsworth when he was on a walking tour of Wales with his sister Dorothy. Wordsworth had visited the area when he was on a walking tour of the area five years previously. William Wordsworth was born in the Lake District of England on April 7th 1770. He was writing poetry from an early age and graduated from Cambridge University in 1791. Wordsworth and his friend Samuel Taylor Coleridge published Lyrical Ballads in 1798 which contained poems such ‘Rime of the Ancient Mariner’ by Coleridge and ‘Tintern Abbey’ by Wordsworth. Famous poems such as ‘I Wandered Lonely as a Cloud’ and ‘Ode: Intimations of Immortality’ were published in a Wordsworth collection, Poems, in Two Volumes in 1807. Wordsworth was Britain’s Poet Laureate from 1843 until his death in 1850 at the age of 80. His autobiographical work ‘The Prelude’ was published following his death. 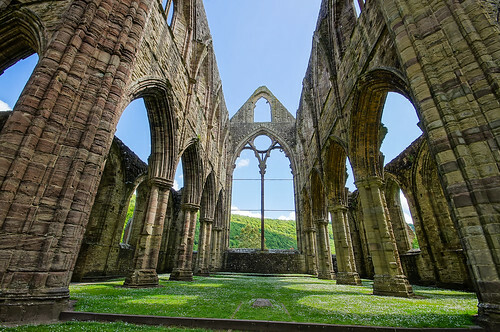 Tintern Abbey was composed by William Wordsworth on revisiting the banks of the River Wye in the year 1798 On This Day.